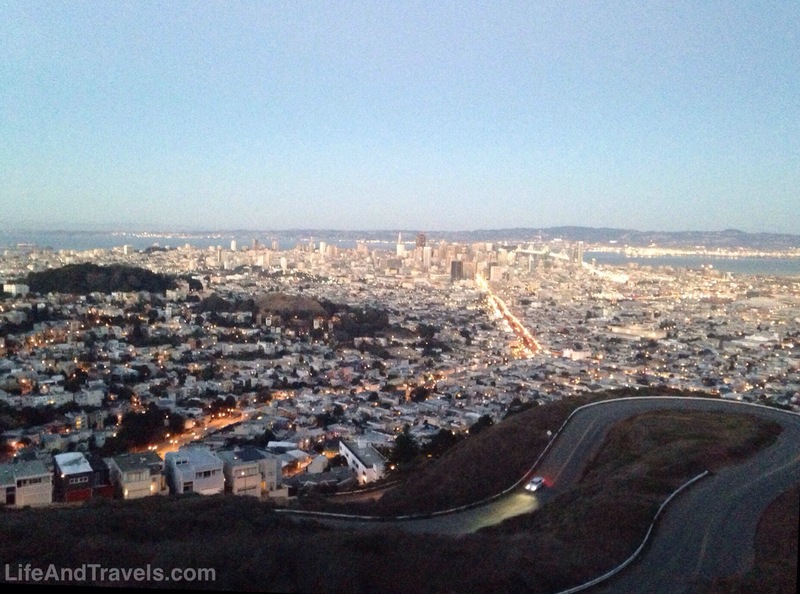 Not sure of what to do on your next trip to San Francisco? The City by The Bay has plenty to offer. If you need some ideas check out this list of 18 Things To Do in San Francisco and you’ll have more then enough plans for your trip! Sausalito is the cute little city located at the north end of the Golden Gate Bridge. It’s a great place to grab a bite to eat, do some shopping, or simply enjoy the beautiful sites from the marina. 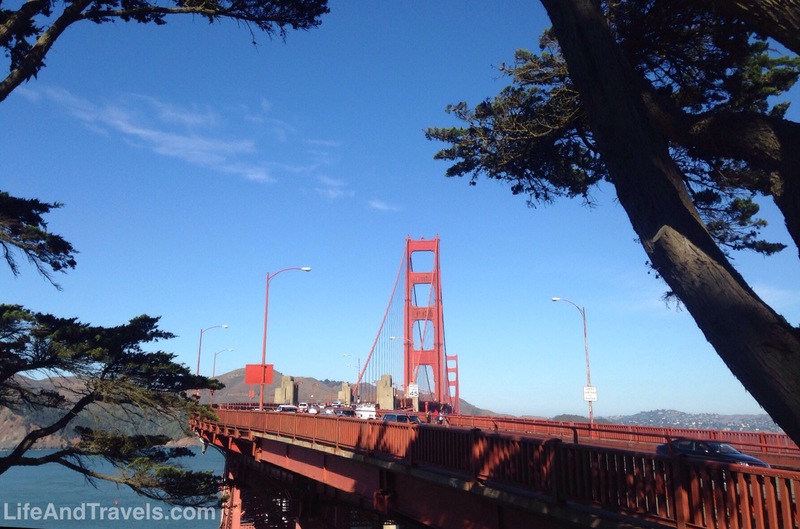 You can take the ferry from San Francisco, or make the drive over the Golden Gate Bridge and cross-off two items on this list! 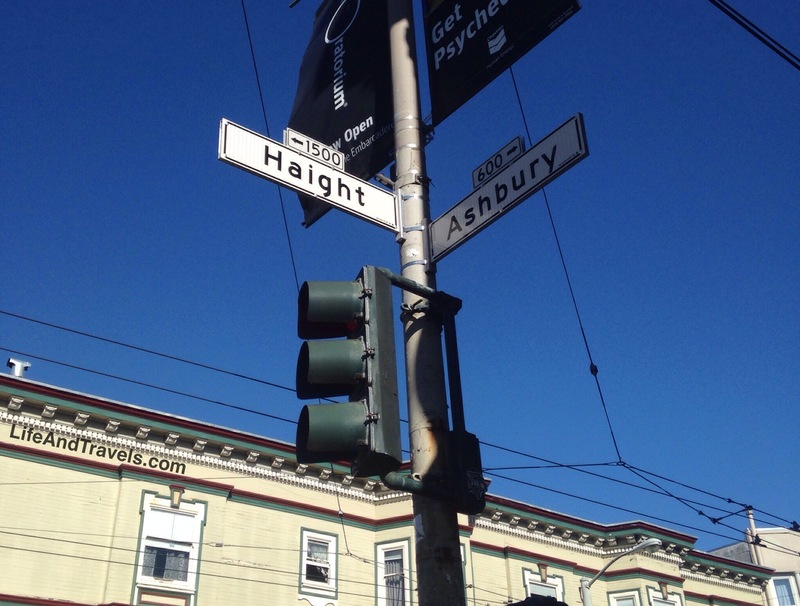 Made famous by the hippie subculture of the late 60’s, the Haight-Ashbury district of San Francisco was the epicenter for the Summer of Love. Today, this area offers plenty of vintage clothing boutiques, cafés, smoke shops, and the famous Amoeba record store. 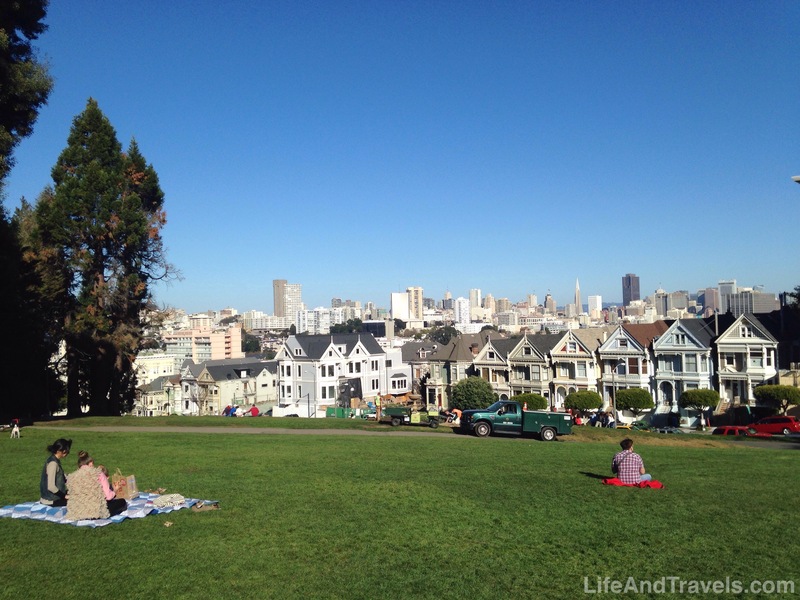 If you grew up in the 90’s you’ll remember Alamo Square from the opening scenes of Full House. This is where the Tanners were having their family picnic. From the park you can see the colorful Victorian style homes known as the Painted Ladies with the beautiful San Francisco skyline in the background. Another great place to stop and soak in the 90’s memories is 2640 Steiner Street. 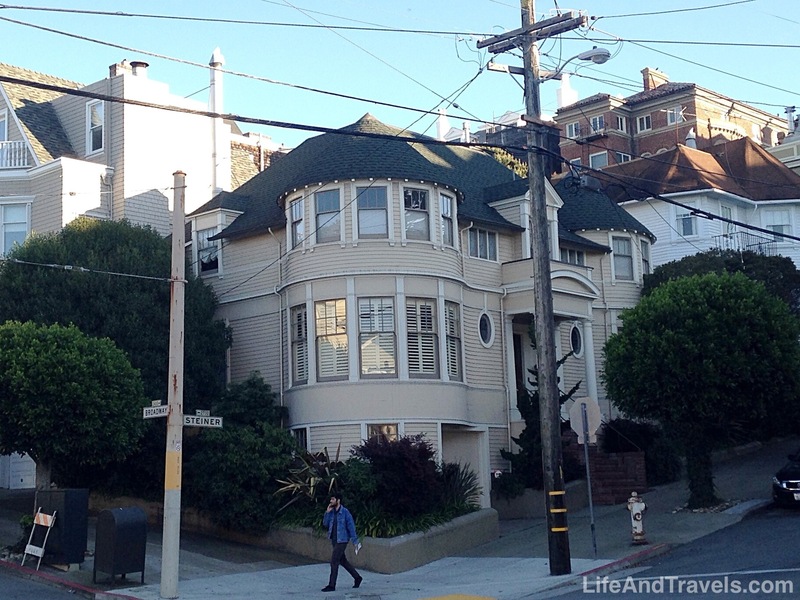 This was the Hillard’s residence in the 1993 classic, Mrs. Doubtfire. Today the home is a private residence located on the corner of Steiner and Broadway Street, so be kind and try not to disturb the residents. 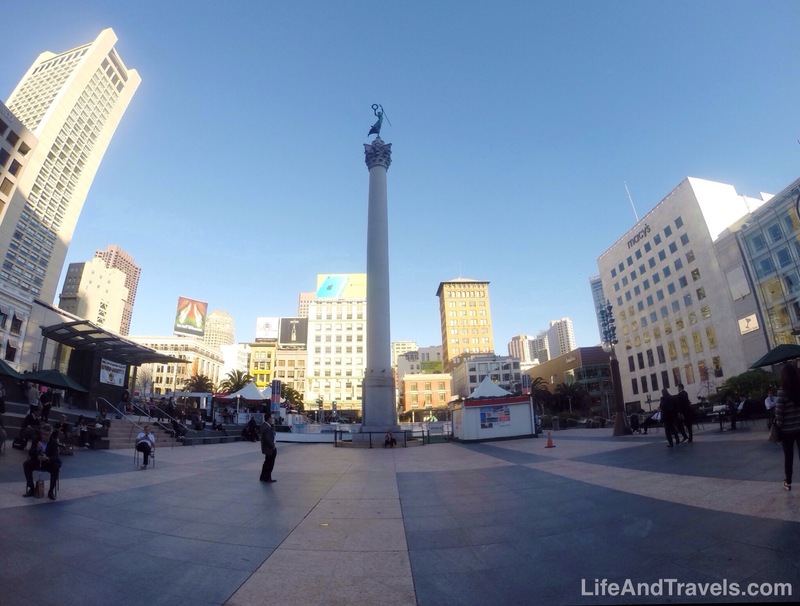 If you’re looking to do some serious shopping while in San Francisco, Union Square is the place to be! Located in downtown, Union Square Plaza offers a variety of stores and restaurants. Here you’ll find designer brands like Louis Vuitton and Hermes to more affordable shops like H&M and Macy’s. 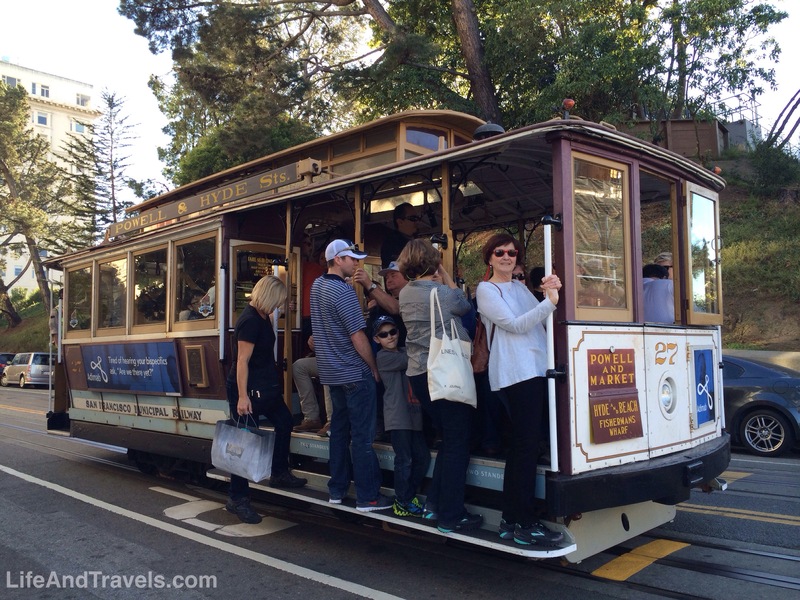 No trip to San Francisco is complete without a ride on the Trolley Cable Cars around the city. The trolley system is a great way to get from Union Square to Fisherman’s Wharf without having to walk up and down those hills. 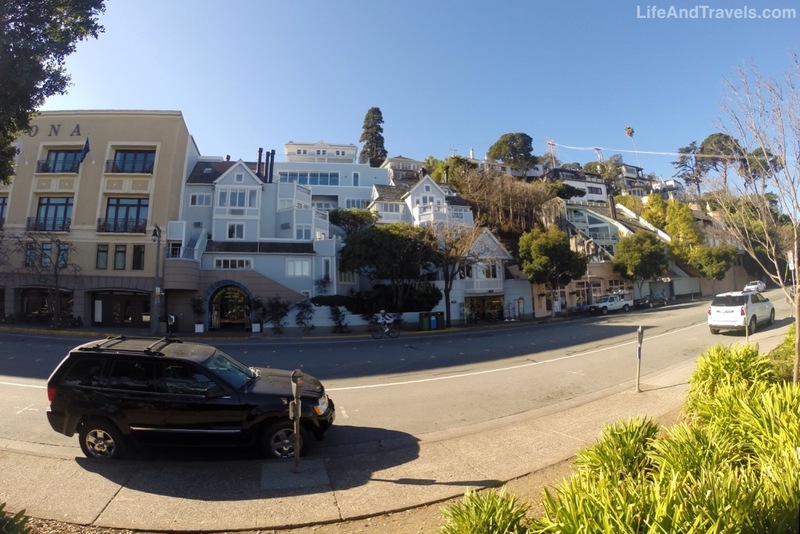 You’ll even pass the world famous Lombard Street along the way. 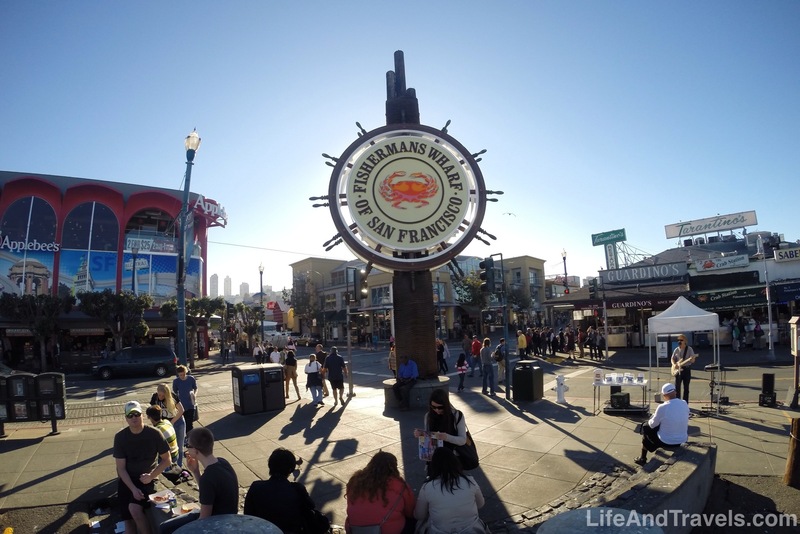 If fresh seafood is your thing, Fisherman’s Wharf is where you need to go. There are plenty of great restaurants to choose from and I highly recommend trying a clam chowder bread bowl while you’re in the area. Fisherman’s Wharf is also a good place to find souvenirs and ferry tours around the bay. 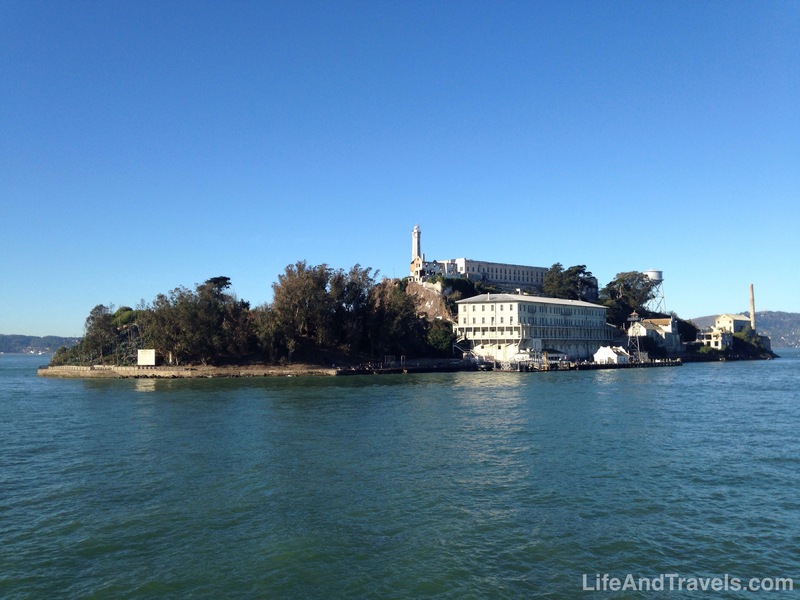 The famous island prison, turned tourist destination, is a fun and inexpensive way to spend your afternoon. Roundtrip ferry tickets to Alcatraz are only $30 for adults and allow you to spend as much time as you’d like exploring the prison. The island also offers an awesome view of the city, bridges, and surrounding bay. Located within Fisherman’s Wharf, Pier 39 is a popular destination on its own. 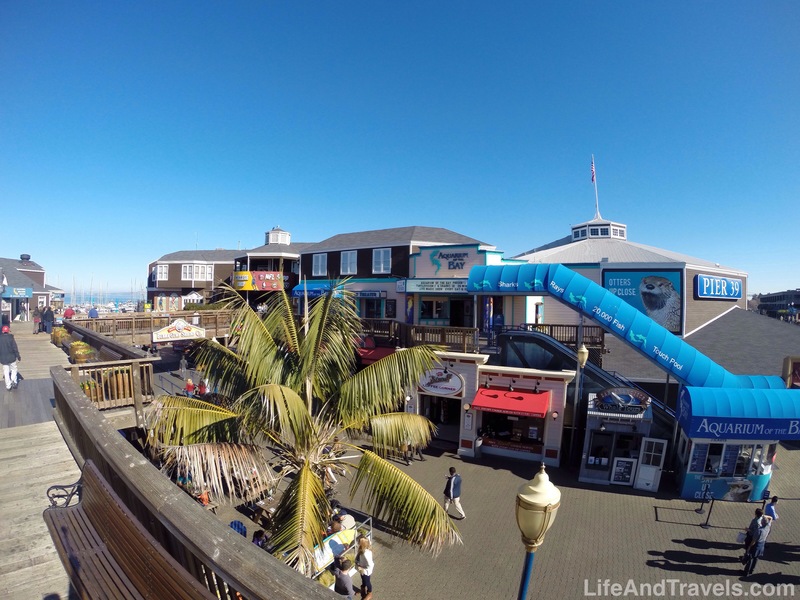 The pier offers fun family attractions like the Aquarium of the Bay, the carousel, and an arcade. You will also find many great restaurants here, and even a tattoo shop. My personal favorite though, were the Sea Lions that hangout in the marina. 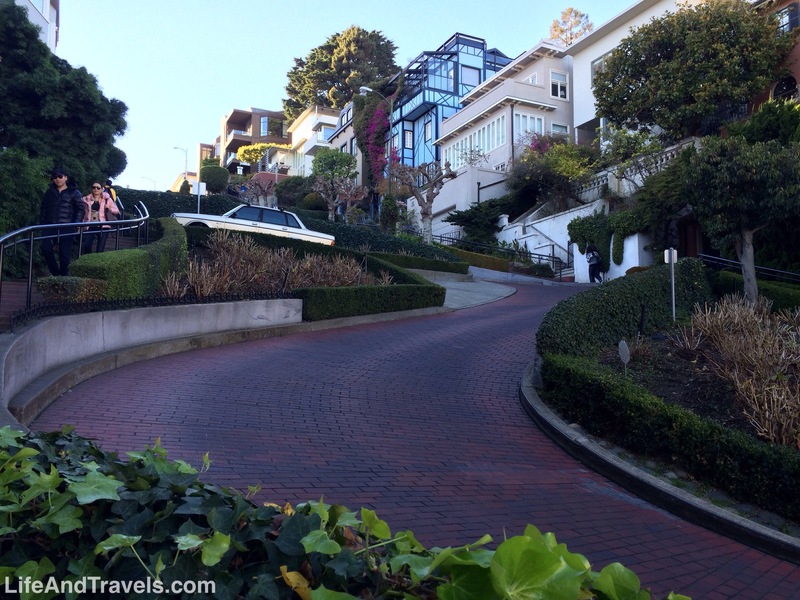 The “Crookedest Street” in San Francisco is another fun place to check out. If you’re driving, have a go at making your way down the road. For those on foot, there is a sidewalk along the road where you can watch drivers struggle to make their way down. The view from the top of Lombard Street is also very enjoyable. 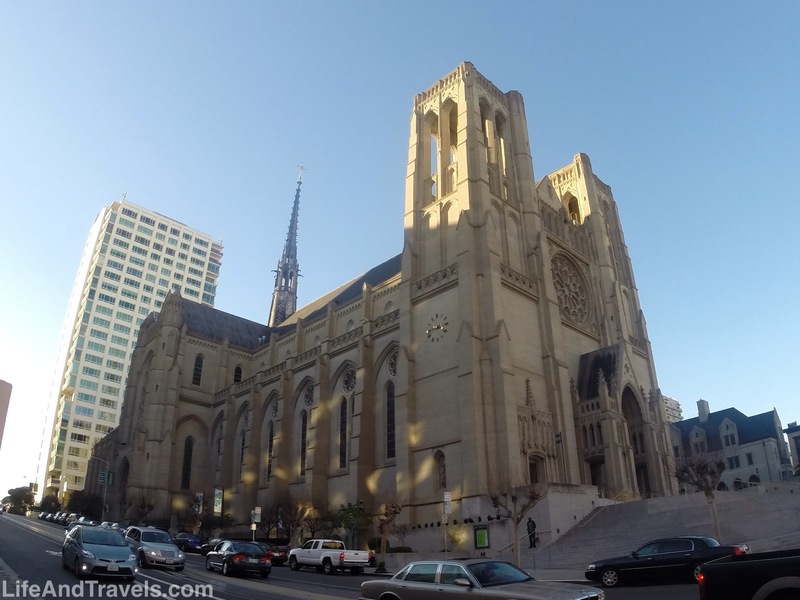 Whether you’re religious or not, this French Gothic style cathedral is a site to see. The structure is absolutely gorgeous from both the inside and out. The details that went into building the cathedral are amazing and worth visiting as you walk around downtown. For those of you who enjoy scenic views, be sure to make your way to the top of Twin Peaks Park. You can drive or hike up to the peak. If you’re at the top around 5pm, you’ll be able to watch the sunset over the ocean and the San Francisco city lights turn on. The view from the top is stunning! Larger than New York’s Central Park, Golden Gate Park is a massive 1,017 acres (412 ha) and located just west of the city. In the park you’ll find a cool Japanese Tea Garden, a Dutch Windmill, and plenty of open spaces to play sports or have a picnic. The park also has plenty of trails for those who enjoy exercising outdoors. The Chinatown Gateway Arch, which was constructed in the 1970’s, is located on Grant Avenue and Bush Street. 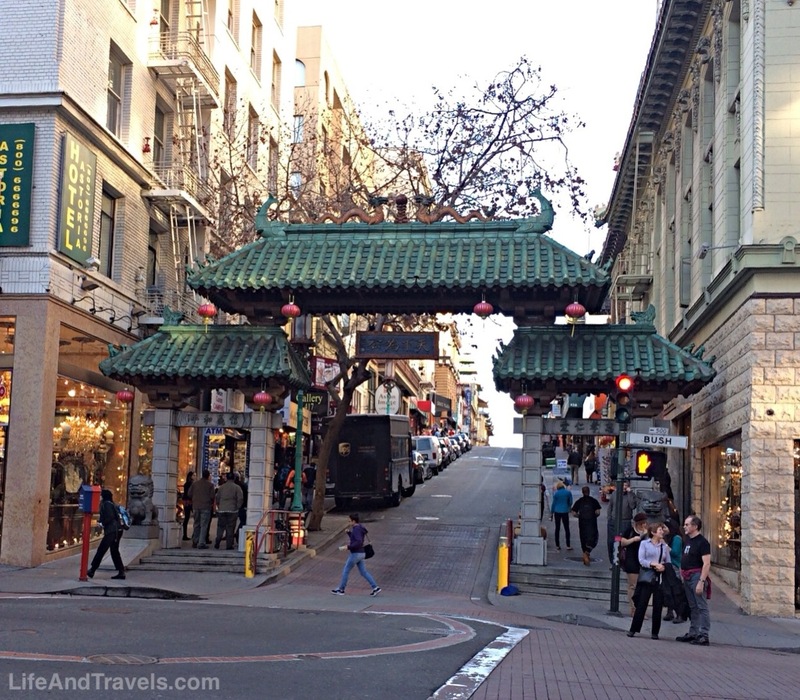 The gate leads into San Francisco’s original Chinatown, which was established in 1848. Chinatown is a great place to try some authentic Asian cuisine and is only a 5-minute walk from Union Square Plaza. Literally translated as “Good View Park,” Buena Vista offers just that. 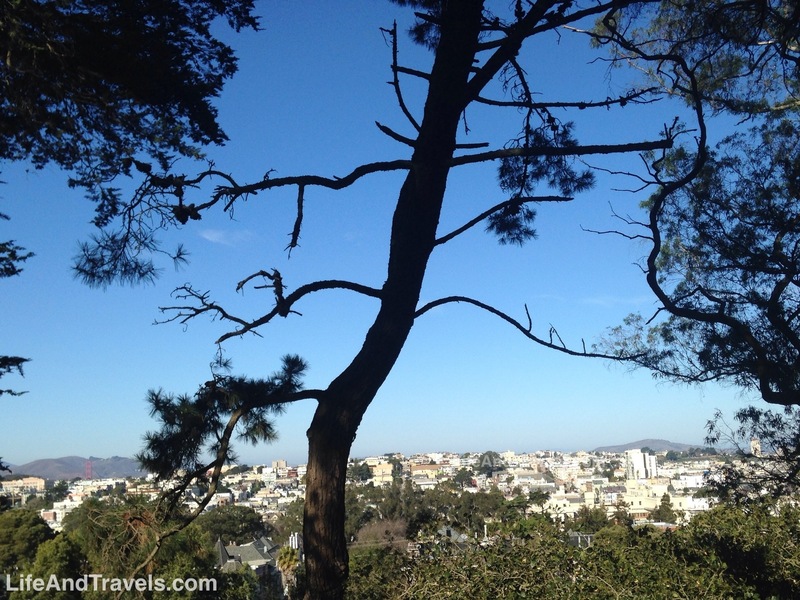 As you make your way up the hills of the park you’ll be able to get some nice views of the city below and the Golden Gate Bridge in the background. 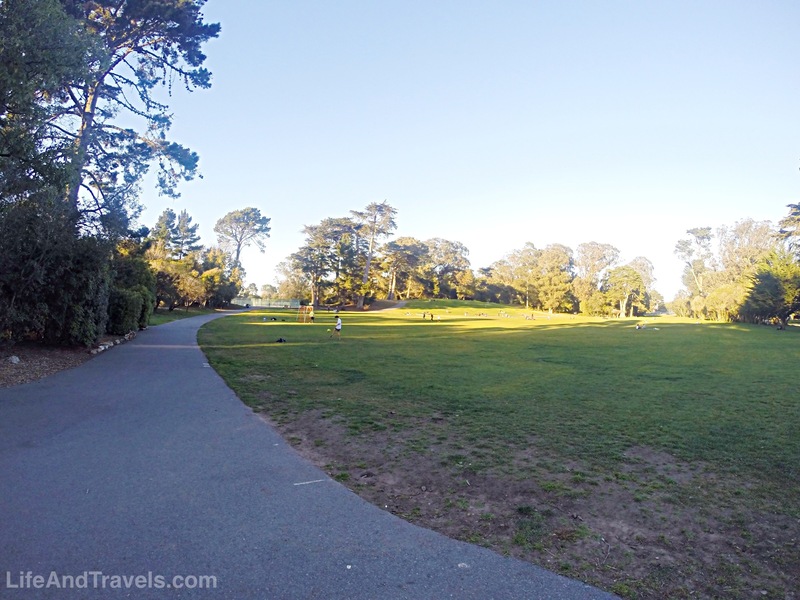 This park is located in the Haight-Ashbury district and is walking distance to the famous intersection. 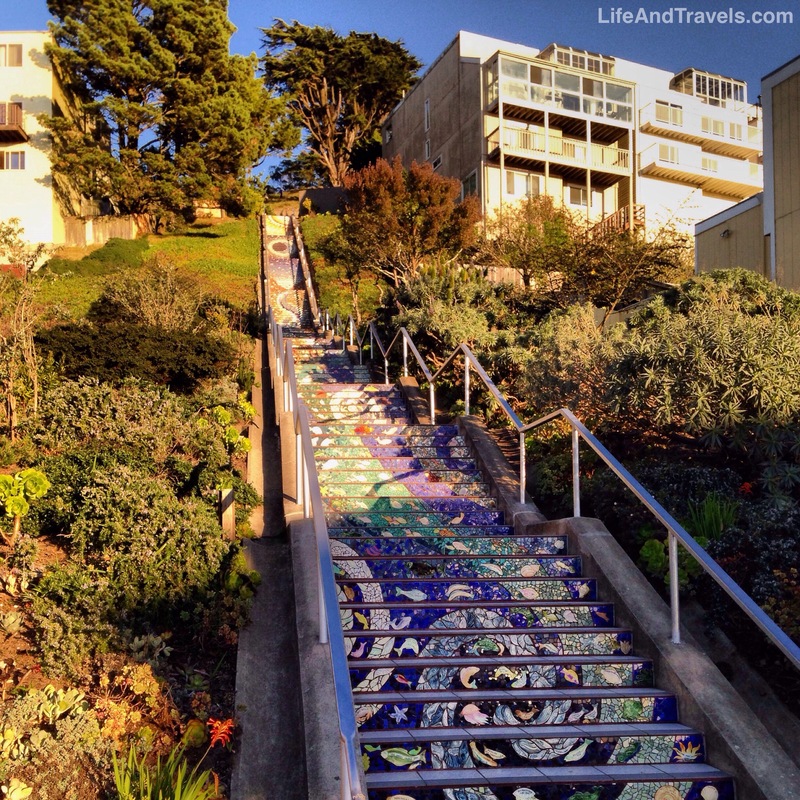 Officially named “The 16th Ave Tiled Steps,” these stairs are a hidden gem in the Golden Gate Heights neighborhood of San Francisco. Located at the intersection of Moraga Street and 16th Avenue, the stairs are a gorgeous piece of artwork that is accessible to the public. The 163 tiled steps were completed in 2005 and are a site to see! Although not as popular as the Golden Gate Bridge, the Bay Bridge is still an awesome structure. 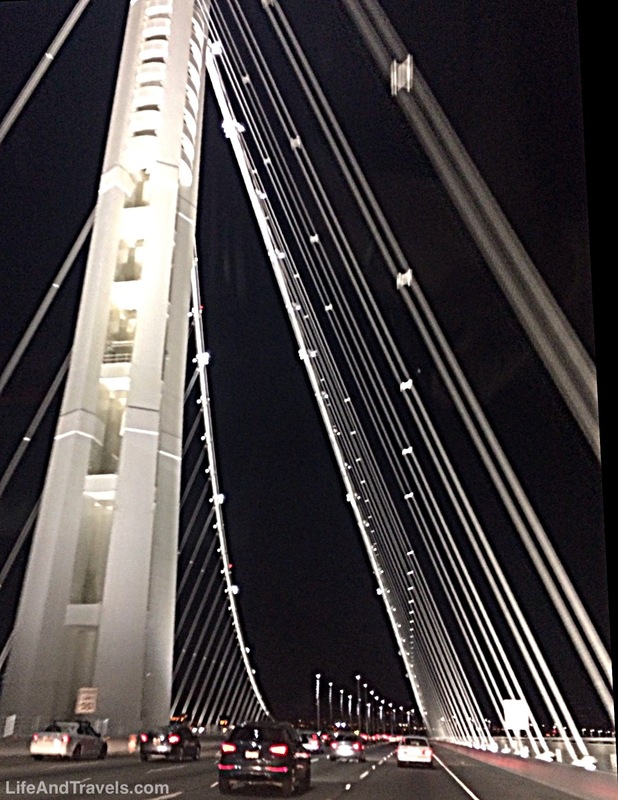 It’s length is almost 3 times that of the Golden Gate Bridge, and the lights at night give it some added beauty. January 21, 2014 in Travel Tips.